Thorne & Derrick UK are specialist Hazardous Area Electrical Equipment Distributors. We distribute Flameproof, Explosion Proof and Intrinsically Safe electrical equipment for Zone 1, 2, 21 and 22 hazardous areas. 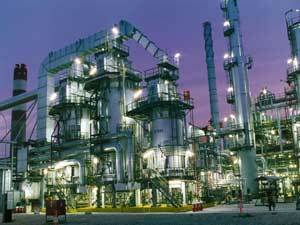 T&D service the global oil, gas and petrochemical industries with LV-HV hazardous area electrical equipment. ATEX and IECEx certified hazardous area lighting for safe use in potentially explosive atmospheres, including Zones 1 /2 (gases) and Zones 21 / 22 (dusts). Key suppliers : Hadar, FEAM, Stahl, Petrel and Wolf Safety. ATEX and IECEx certified hazardous area cable joints, terminations, cleats and glands for installing power, control and instrument cables in Zone 1 and Zone 2. Key suppliers : 3M, CSD, Prysmian, Ellis Patents, Thomas & Betts, Hawke, Panduit and Flexicon. Hazardous area control and distribution equipment including installation switches, isolators, plugs and sockets, control stations, distribution panelboards, motor starters and full control systems to customer specification. Key suppliers : Marechal, Stahl, Appleton, Pepperl+Fuchs (Walsall) and Petrel. Hazardous area communication devices to enable safe working, process monitoring, inspection, maintenance and surveillance in potentially explosive atmospheres. Key suppliers : Ecom, Stahl and Cordex. High-specification audible and visual signals (beacons/strobes and sounders/horns) for fire and gas detection in industrial onshore, marine and offshore hazardous locations. Key suppliers : Stahl and Clifford & Snell. 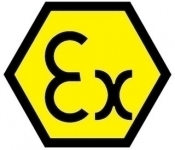 Hazardous area Ex e and Ex d junction boxes and electrical enclosures suitable for Zone 1 and Zone 2 hazardous areas and certified to ATEX and IECEx standards. Key suppliers : Abtech, Stahl, CEAG, Hawke, Weidmuller and FEAM. Zone 21 - a place in which an explosive atmosphere, in the form of a cloud of combustible dust in air, is likely to occur occasionally in normal operation.